This 15-foot waterfall on Carrick Creek plunges into a deep, inviting pool. It is an easy 0.2 mile hike on a paved path in Table Rock State Park to reach the falls. 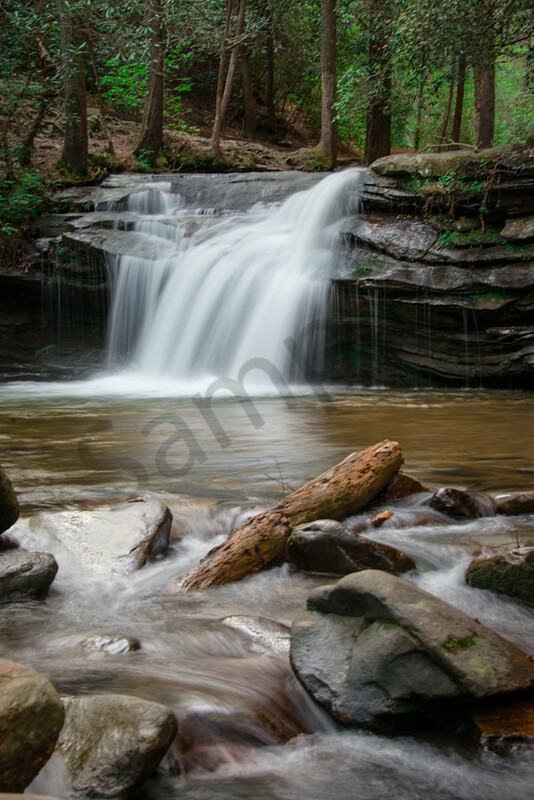 Several other falls can be found along the 2 mile Carrick Creek Nature Trail. Table Rock State Park is a place where nature enthusiasts could spend many days hiking, camping, and enjoying the views. The park is mountainous and has numerous small waterfalls along its hiking trails. Carrick Creek Falls is one of the first hints given to hikers trekking to the top of Table Rock that their hard work will be rewarded with astounding beauty.